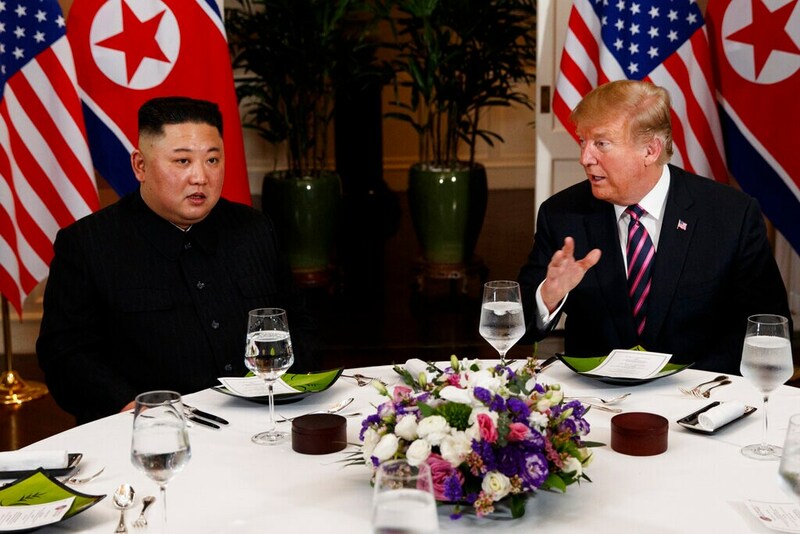 President Donald Trump is praising what he's calling a "very special relationship" with North Korean leader Kim Jong Un as the two sit down for dinner in Hanoi, Vietnam, ahead of formal talks. 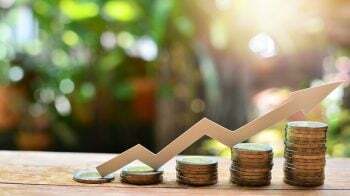 Trump struck a hopeful tone Wednesday evening, telling reporters at the Metropole hotel that "a lot of things are going to be solved, I hope" and saying he thinks "it'll lead to a wonderful, really a wonderful situation long term." 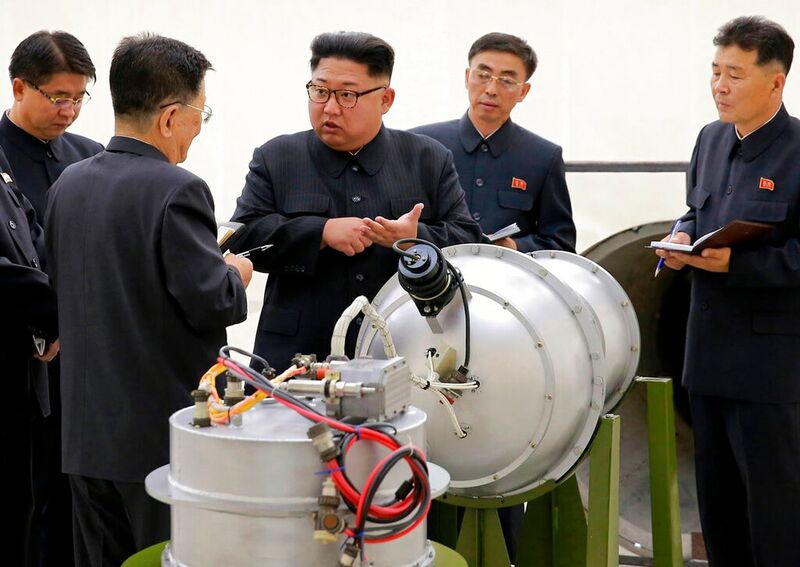 This undated file photo distributed on Sept. 3, 2017, by the North Korean government, shows North Korean leader Kim Jong Un at an undisclosed location. 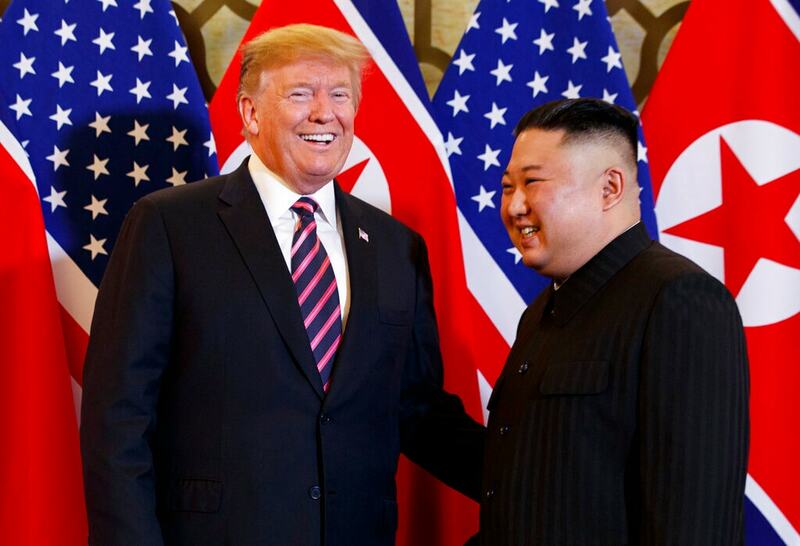 US President Donald Trump’s message to North Korea has been simple and clear: give up your nuclear weapons and a flood of wealth will soon be yours for the taking. 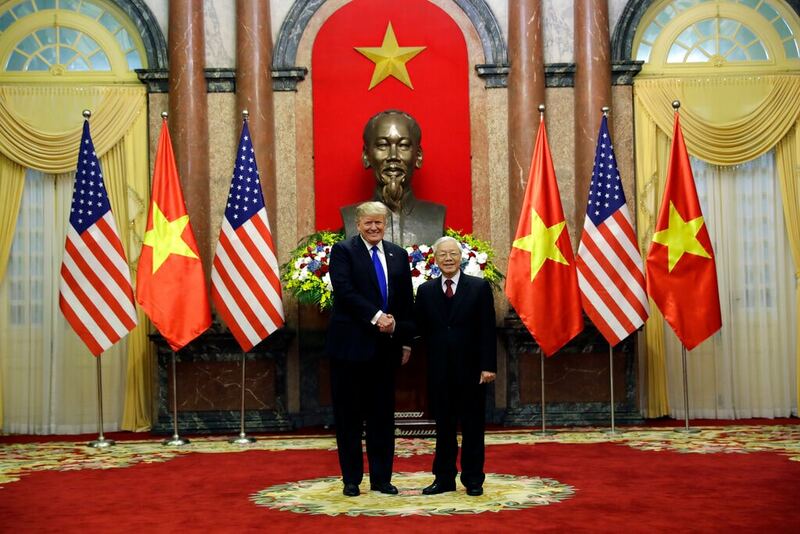 President Donald Trump shakes hands with Vietnamese President Nguyen Phu Trong at the Presidential Palace, Wednesday, Feb. 27, 2019, in Hanoi. 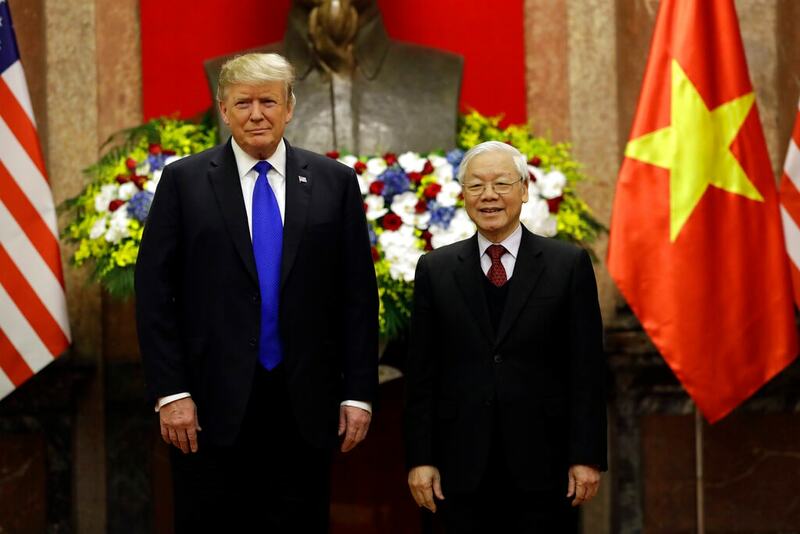 President Donald Trump meets Vietnamese President Nguyen Phu Trong at the Presidential Palace, Wednesday, Feb. 27, 2019, in Hanoi. 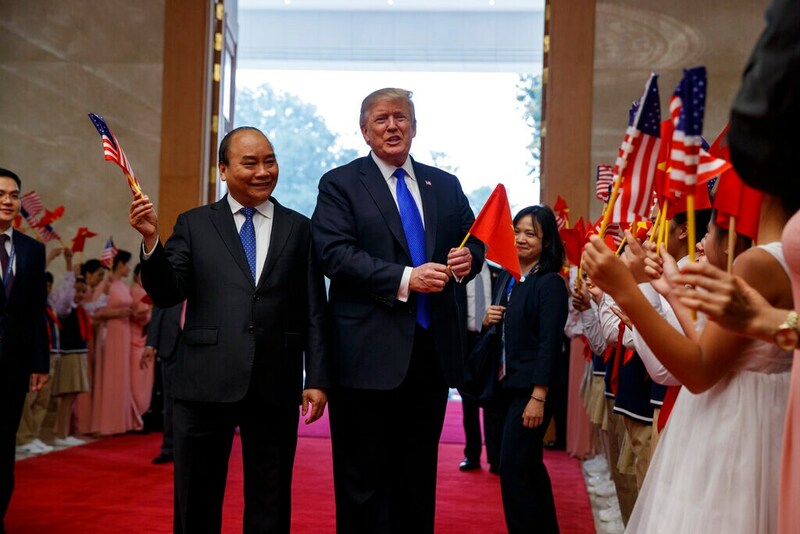 President Donald Trump and Vietnamese Prime Minister Nguyen Xuan Phuc wave flags before a meeting at the Office of Government Hall, Wednesday, Feb. 27, 2019, in Hanoi. 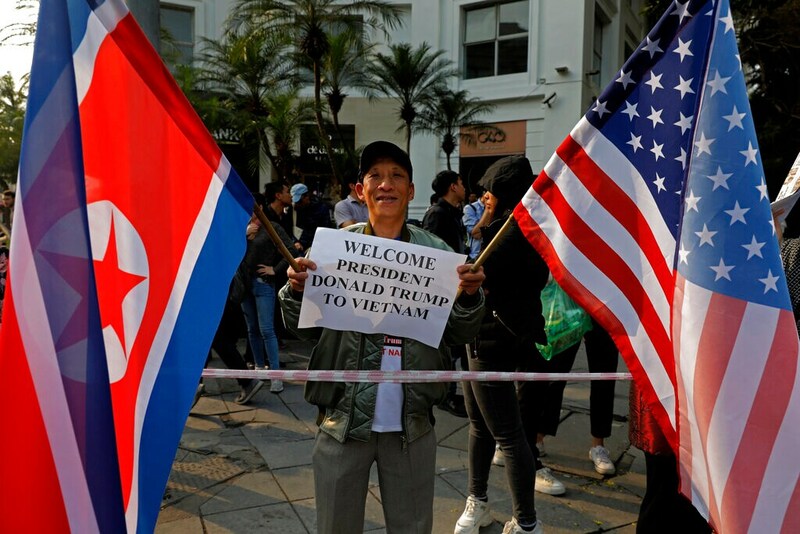 A man holds a placard and US national and North Korea flags outside Metropole hotel where US President Donald Trump and North Korean leader Kim Jong Un are scheduled to have dinner in Hanoi, Vietnam, Wednesday, Feb. 27, 2019. The second summit between US President Trump and North Korean leader Kim will take place in Hanoi on Feb. 27 and 28. 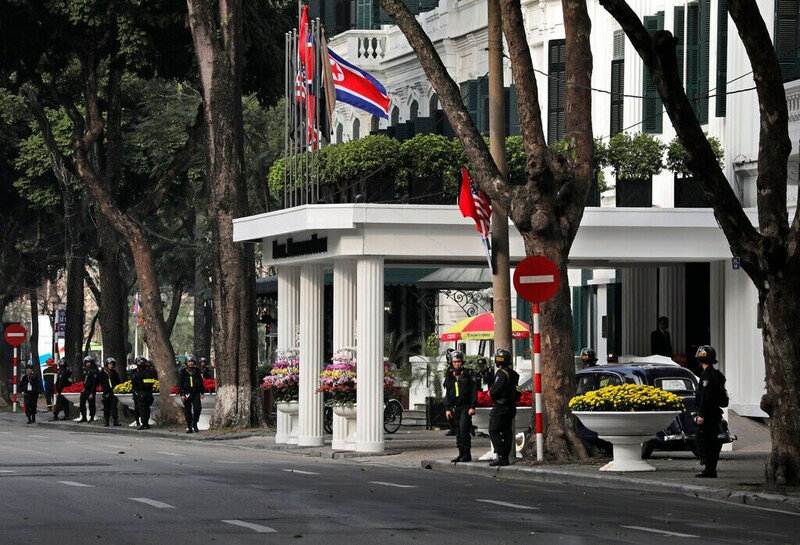 Police officers stand guard outside Metropole hotel where US President Donald Trump and North Korean leader Kim Jong Un are scheduled to have dinner in Hanoi, Vietnam, Wednesday, Feb. 27, 2019. 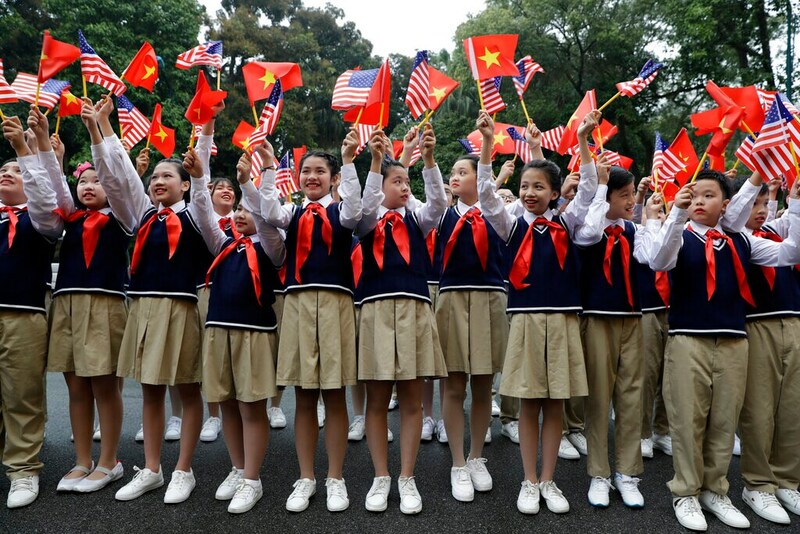 The second summit between US President Trump and North Korean leader Kim will take place in Hanoi on Feb. 27 and 28. 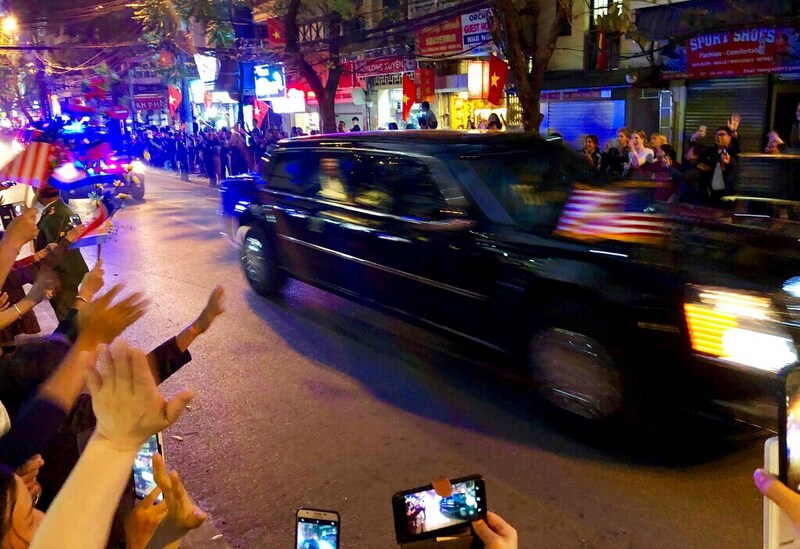 US President Donald Trump passes wellwishers in his car on his way to meet North Korea leader Kim Jong Un, Wednesday, Feb. 27, 2019, in Hanoi, Vietnam. 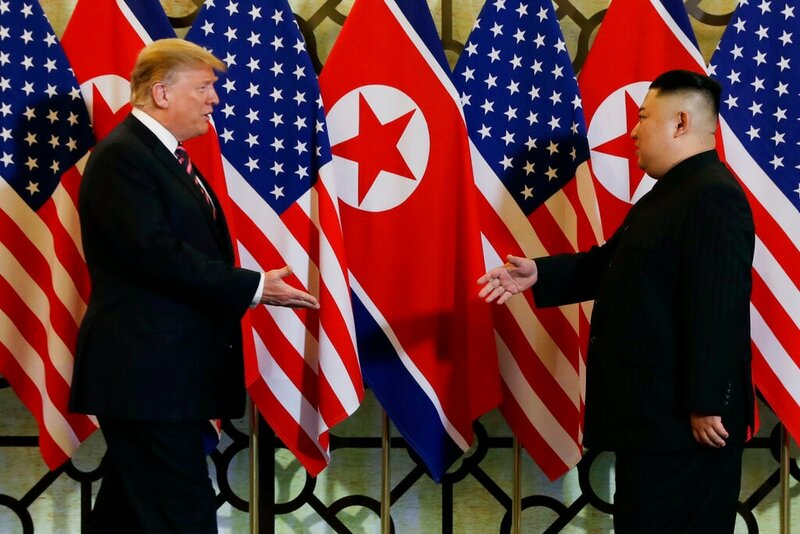 Trump and Kim are meeting for their second summit in Hanoi Feb. 27-28. 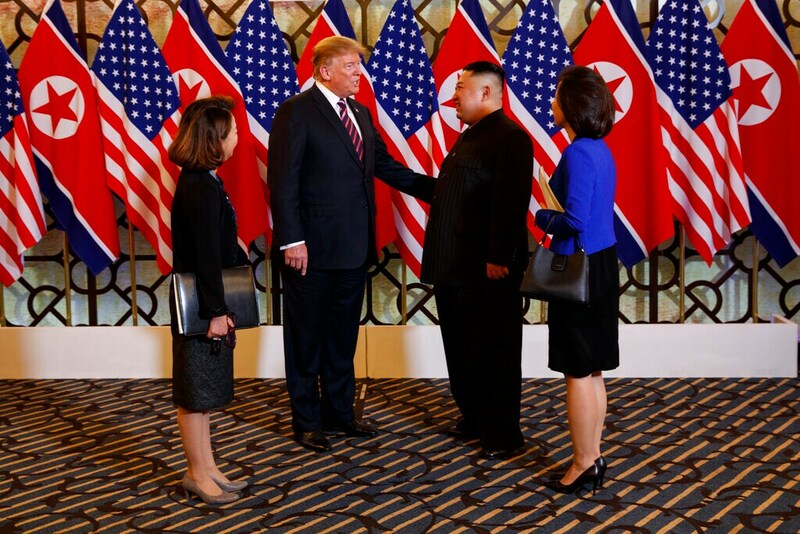 President Donald Trump meets North Korean leader Kim Jong Un, Wednesday, Feb. 27, 2019, in Hanoi. 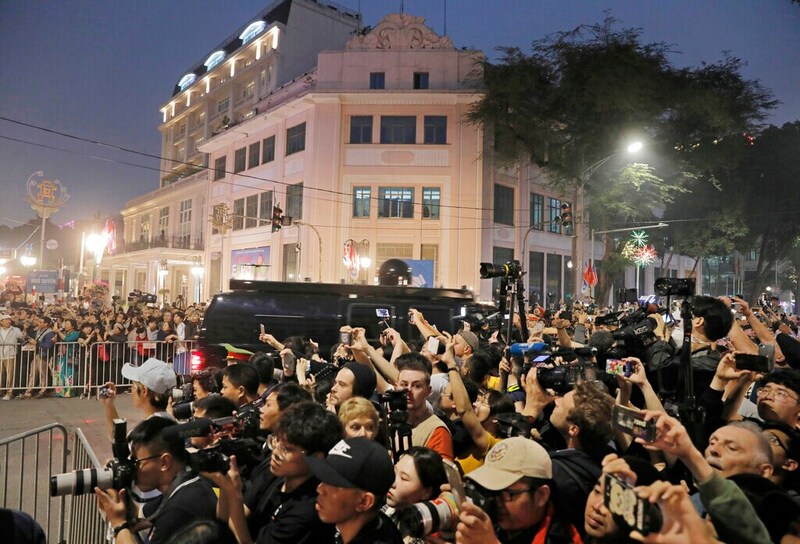 People gather outside Metropole Hotel where US President Donald Trump and North Korean leader Kim Jong Un will have dinner in Hanoi, Vietnam, Wednesday, Feb. 27, 2019. 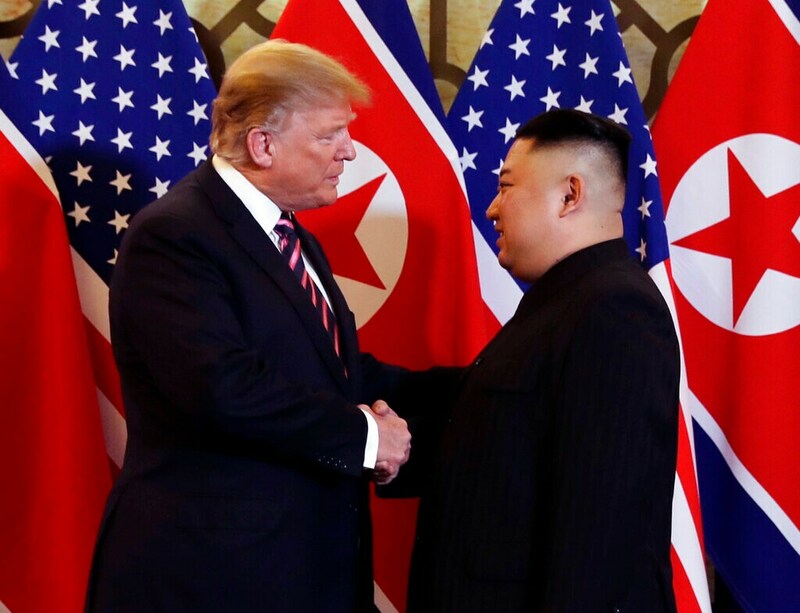 The second summit between US President Donald Trump and North Korean leader Kim Jong Un will take place in Hanoi on Feb. 27 and 28. 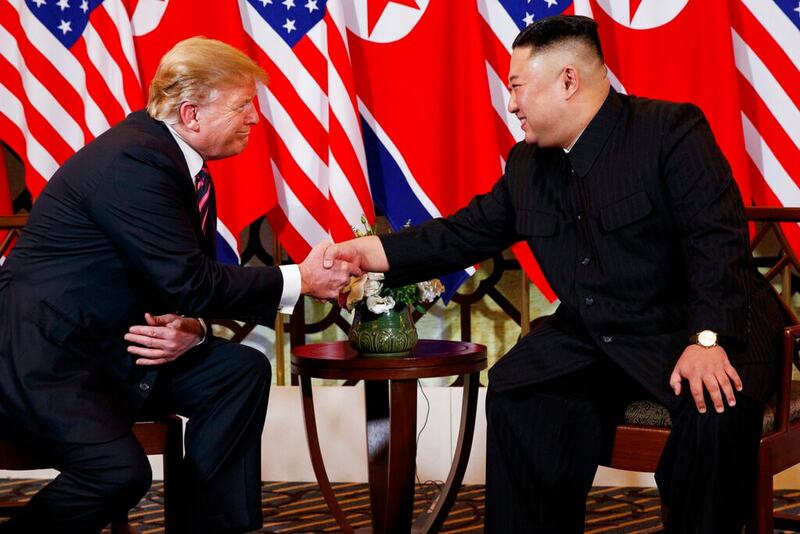 US President Donald Trump shakes hands with North Korean leader Kim Jong Un, Wednesday, Feb. 27, 2019, in Hanoi. 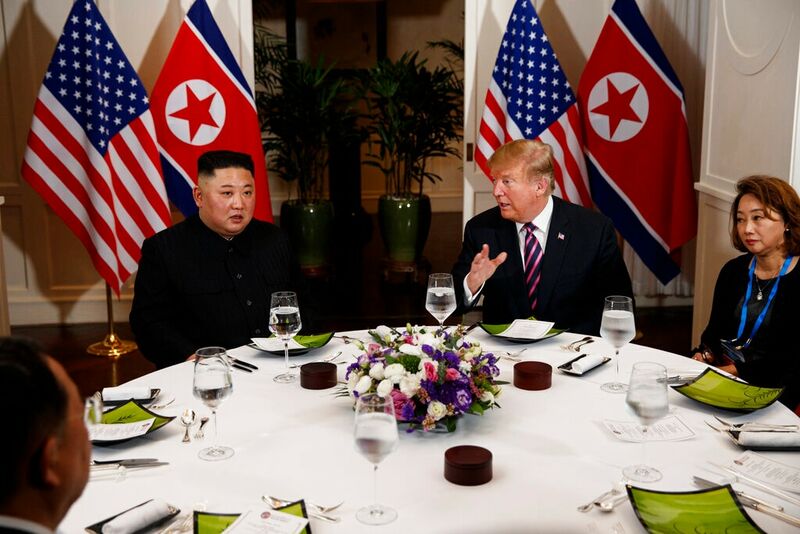 US President Donald Trump meets with North Korean leader Kim Jong Un, Wednesday, Feb. 27, 2019, in Hanoi.